Englewood Cliffs, New Jersey: Prentice-Hall, 1980. Hardcover. Very Good +/Very Good +. The 1980 1st edition, in the much less common hardback edition. Tight and VG+ (small sticker residue at the front free endpaper, light offsetting to the inner hinges) in a crisp, price-intact ($12.95), VG+ dustjacket, with very light creasing along the panel edges and one small piece of clear tape to the upper front flap-fold. Quarto, wonderful period black-and-white photos thruout. Kansas City: The Leslie Co, 1967. Near Fine. 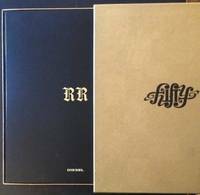 A near pristine copy of this sensual 1967 alphabet book, with a different beautiful model (captured in the sultry black-and-white photography of Frank Bez) representing each letter of the alphabet. Consisting of 30 loose sheets (the title sheet, the mission sheet, the 2-sheet glossary and the 26 sheets representing the alphabet), neatly housed in a wonderful pictorial cardboard box. All of the sheets and the box itself are clean and very sharp. Some of the featured models --all of whom are identified in the glossary-- include Racquel Welch, Jane Fonda, Elke Sommer, Marlene Dietrich, etc. A charming ABC book, suffused with a strong 60s sensibility and fashion. Paris: Musee des Arts de la Mode, 1987. Original wraps. Very Good +. 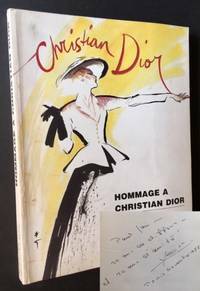 WARMLY INSCRIBED BY MARC BOHAN (BOTH ARTISTIC DIRECTOR AT DIOR AND CREATOR OF THE HAUTE COUTURE COLLECTIONS SINCE 1960) on the half-title. A very solid copy to boot of the catalogue based on the March-October 1987 exhibition at Paris' Musee des Arts de la Mode. Tight and VG+ to Near Fine in its pictorial wrappers, with just a touch of light soiling to the rear panel. Tall quarto, crisp black-and-white sketches and photographs thruout. 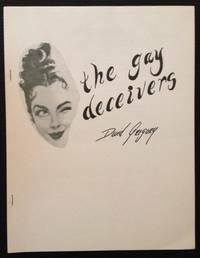 New York: Congreve Publishing Company, 1982. Cloth. Near Fine/Very Good +. A solid copy of the 1982 stated 1st edition, in its much less common hardback. 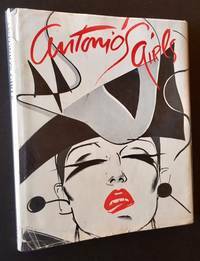 Tight and Near Fine in a crisp, price-intact ($29.95), VG+ dustjacket, with several small closed tears --and light creasing-- along the panel edges. Quarto, text by Christopher Hemphill, designed by Juan Ramos, devised and edited by Karen Amiel. Chicago: Esquire, Inc, 1943. Hardcover. Very Good. George Hurrell. 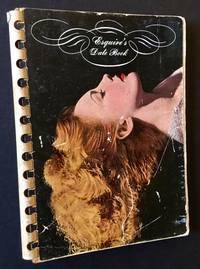 Esquire's 1943 calendar and date book, with 27 crisp black-and-white George Hurrell-photos of some of Hollywood's leading bombshells appearing opposite the calendars and appointments and dates. Solid and VG in its comb-bound pictorial card covers, with light scuffing at the front panel and very light soiling to the rear panel. 12mo, "Designed for the designing man who gets around, but sometimes forgets"
Berlin: Die Gestalten Verlag, 2004. Cloth. Near Fine. 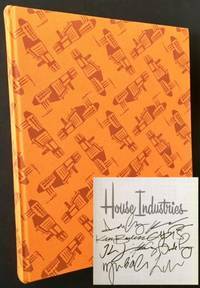 "THE HOUSE LTD EDITION, #432 OF 1,250 COPIES ACQUIRED DIRECTLY FROM AND SIGNED BY OFFICIAL HOUSE INDUSTRIES PERSONNEL", INCLUDING AUTHORS ANDY CRUZ, KEN BARBER et al. A clean, solid copy to boot of the 2004 genuine 1st edition. Tight and Near Fine in its decorative orange cloth. Lacking the CD at the rear pastedown. Tall quarto, lavish color illustrations and plates thruout. 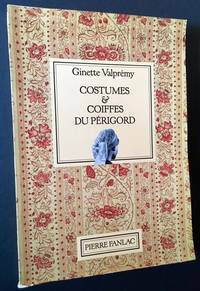 Perigueux, France: Editions Pierre Fanlac (Bibliotheque du Bournat du Perigord), 1987. Original wraps. Near Fine. Claude Sarlat and Pierre Valpremy. A handsome copy of the 1987 1st edition. Tight and Near Fine in its decorative wrappers. Tall quarto, dozens and dozens of crisp black-and-white photos and detailed line drawings thruout. Text exclusively in French. New York: HarperCollins Publisher, 2000. Cloth. Fine/Near Fine. An all-but-pristine copy of the 2000 1st American edition (following the London edition). Clean and Fine in a bright, price-intact, Near Fine dustjacket. Tall quarto, vivid color photography and illustrations thruout. Anaheim, CA: Magic in Cosmetics. Original wraps. Near Fine. 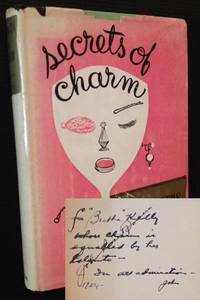 Uncommon self-published guide to beauty and cosmetics, undated (c. 1960) and issued in undoubtedly small numbers. Clean and Near Fine in its stapled, pictorial wrappers. Covers many aspects of make-up application, personal grooming and basic health. An earnest attempt at instructing but now seems --partly because of its title, partly because of its crude production-- campy and charming. Philadelphia: The John C. Winston Company, 1954. Cloth. Very Good/Very Good. Georgia Bloch. WARMLY INSCRIBED BY JOHN ROBERT POWERS IN YEAR-OF-PUBLICATION on the front free endpaper. ALSO SIGNED BY HIM (A SECOND TIME) OVER HIS INSCRIPTION. A solid copy to boot of the 1954 stated 1st edition. Tight and VG (with light offsetting at the front pastedown and front free endpaper) in a bright, price-intact, VG dustjacket, with light chipping and creasing along the panel edges. Thick octavo, crisp black-and-white photos plus nicely-illustrated line-drawings thruout by Georgia Bloch. Charming mid 50s fashion and etiquette book, "for women only"
Artwear Publications, 1985. Original wraps. Fine. A pristine copy of the 1985 1st edition, INSCRIBED BY THE PHOTOGRAPHER KLAUS LAUBMAYER on the copyright page. Bright and Fine in its pictorial wrappers. Square quarto, vivid color fashion photography thruout by Klaus Laubmayer. New York: powerHouse Books, 2004. Hardcover. A pristine copy of the 2004 stated 1st edition. INSCRIBED BY PATRICK MCMULLAN on the half-title. Tight and Fine in its cut-out white boards. Tall quarto, wild color photography thruout. New York: PMc Publishing, 2007. Near Fine. A handsome copy of the 2007 stated 1st edition. Clean and Near Fine in its pictorial leatherette. INSCRIBED BY PATRICK MCMULLAN on the title page. Given the weight of this title, the binding is a bit shaken but is still perfectly sturdy. 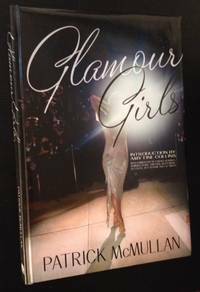 Folio, McMullan's exuberant "Glamour" portraits thruout. Berlin: Die Gestalten Verlag, 2005. Hardcover. Fine. A lovely copy of the 2005 1st edition of this lavish tribute to Diesel and its founder Renzo Rosso. 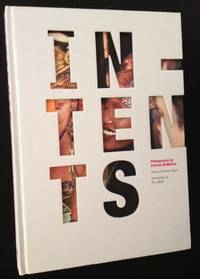 A clean and Fine folio in its decorative velvet over red laminate boards. Also includes an extra CD (whose sleeve is affixed to the rear endpaper) and a pristine black plastic slipcase and gold box which houses the book and slipcase. A wonderfully-designed monograph on Renzo Posso and Diesel. Paris: Encens, 2008. Original wraps. Fine. 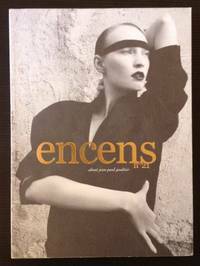 A pristine copy of Encens No. 21, the Spring 2008 issue. Clean and Fine in its pictorial wrappers. Tall quarto, high-quality fashion photography thruout. Edition 7L, 2005. Original wraps. Fine. A pristine copy of the 2005 1st French edition. Clean and Fine in its pictorial wrappers. 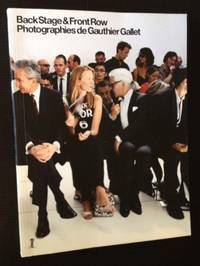 Tall, thick quarto, Gauthier Gallet's color photographs thruout documenting the world of fashion shows. Rin Tanaka, 2006. Hardcover. Near Fine. INSCRIBED BY RIN TANAKA on the front free endpaper. 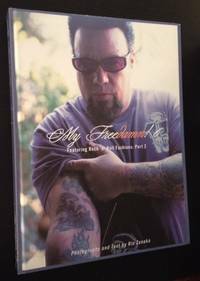 A very sharp copy to boot of the 2006 1st edition of issue #5 of "My Freedamn!". Clean and Near Fine in its pictorial laminate boards. 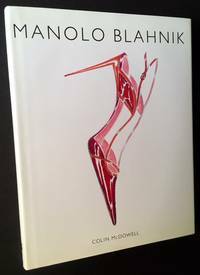 Folio, 303 pgs., crisp fashion photography thruout. Rin Tanaka, 2007. Hardcover. As New. INSCRIBED BY RIN TANAKA on the front free endpaper. 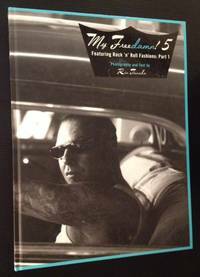 A pristine copy to boot of the 2007 1st edition of issue #4 of "My Freedamn!". Clean and Fine in its pictorial laminate boards. Folio, 349 pgs., crisp fashion photography thruout. Philadelphia: Louis A. Godey, 1864. Cloth. Very Good. The complete 12-issue run for 1864 of this wonderful monthly, published out of Philadelphia and bound in this case in 2 separate volumes. Both quarto volumes solid and VG in their olive-green cloth, with gilt-lettered leather title labels. Light scuffing along the spines and wear to the labels, otherwise very solid. More importantly though, the content --the magazines themselves-- has held up very nicely. Very light foxing to a small number of pages. The plates though (which steal the show) are magnificent; both the engraved and the chromolithographed plates are in beautiful condition. Many of them are long, layered fold-outs and those are sturdy and very well-preserved. A very impressive collection of 1864's full run, especially uncommon given its wartime publication. Philadelphia: Louis A. Godey, 1868. Cloth. Very Good. The complete 12-issue run for 1868 of this wonderful monthly, published out of Philadelphia and bound in this case in 2 separate volumes. Both quarto volumes solid and VG in their olive-green cloth, with gilt-lettered leather title labels. More importantly though, the content --the magazines themselves-- has held up very nicely. Light foxing and offsetting to a small number of pages. The plates though (which steal the show) are magnificent; both the engraved and the chromolithographed plates are in beautiful condition. Many of them are long, layered fold-outs and those are sturdy and very well-preserved. The cover for March 1868 is badly torn --and is missing 2/3 of the page-- but this is the only blemish to speak of in an otherwise very impressive collection of 1868's full run.